Will There Be Regulation Vacation? Summary: MIT research examines the effectiveness and cost of post-crisis bank regulation. We provide you with the highlights. 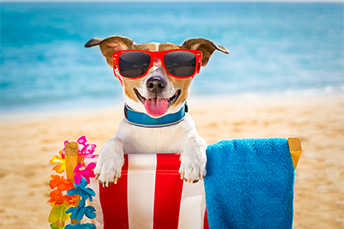 A Bankrate survey finds the primary reasons that 49% of Americans aren't planning to take a vacation this summer are: they cannot afford it (50%), family duty (25%), can't take time off work (22%), other vacation plans (6%) and health/age or just don't want to (tied at 4% each). Given the sun is out and mostly warm now in many areas of the country, we will side with the 51% who do plan to take a vacation and start scheduling ours now. The good news for banks in general these days is that the heavy load and high cost of regulation seems to be slowly coming back in line. MIT research examines the effectiveness and cost of post-crisis bank regulation in a paper titled, "The Risk Management Function of the Future." It provides an informative window into the thinking of bankers and regulators and points to possible changes that may still come. The survey went to 1,000 banks with assets greater than $5B, so if your bank is below that level you might be experiencing other issues too. One of the telling conclusions from this survey is that bankers have quickly institutionalized many of the regulatory reforms that followed the financial crisis. As such, even if regulations are relaxed, bankers may keep things tight given ongoing fear of on-site regulators and the potential cost to change. Perhaps one silver lining is that the survey found at least all those billions spent mean the largest banks appear to be better able to monitor and manage risks (like loan losses and write-offs) as a result of regulatory changes (like stress tests). The question now is whether all the work done to enhance risk management processes in the industry will add value as well as the increased cost to implement. For their part, the largest banks are actively leveraging the value of information gathered from new and more robust risk management functions. This group of banks has used such information to enhance business decision processes for things like capital planning and strategic analysis. Meanwhile, community banks have been hit hard by the added costs of trickle-down "best practices", and it is clear many are continuing to struggle. It is just flat out difficult to do anything close to what the biggest banks are doing when data is difficult to extract, let alone further leverage. Let's hope this gets figured out soon, given the high cost burden and difficulty in finding talent to support ongoing enhanced risk management activities. Despite the tilt towards larger banks, the research surfaced some other interesting data points we also found worth thinking about. These included the fact that respondents said indirect compliance costs (taking time away from other activities) are at least as significant as direct compliance costs (personnel or system) in 71% of the types of regulations considered. Also interesting, respondents said that beyond regulatory compliance, other major areas where they were leveraging stress testing include: capital planning (30%), credit risk management (23%), determining risk appetite (20%), strategic planning (19%) and capital allocation to business units (14%). Finally, when asked what should be done for regulatory relief, bankers most often mentioned regulatory consolidation, reducing redundancies, decreasing the number of regulators assigned to each bank, reducing the documentation burden and tailoring regulations to the size and risk profile of the bank. It looks like there is still more to ponder, as you take a break and vacation somewhere in the sun. Circle Internet Financial Ltd, one of the most valuable cryptocurrency platforms, has been in discussion with the OCC and hopes to segue into banking in the US. The venture would be partly backed by Goldman Sachs and is expected to expand its services. Jelena McWilliams was sworn in as FDIC chairman to succeed Martin Gruenberg. Goldman Sachs projects the US GDP growth rate has most likely peaked and will slow down, although it will exceed the long-term trend as tax cut effects continue. MIT Sloan Management and Deloitte surveyed executives on digital business. About 50% of "digitally maturing" companies stated a need for new leaders to drive and succeed in the digital market. Some 80% called themselves in the "early stage" and needed changes within staff to handle the digital changes. Only 14% are able to effectively develop new leaders. Further, 90% said they have to update their digital skills at least 1x per year and 44% stated they needed to do this continually to do their job effectively. Community bankers seeing long-term fixed rate demand from business clients can transform payments into a floating rate on their books using Borrowers' Loan Protection (BLP). Contact us today for more information.